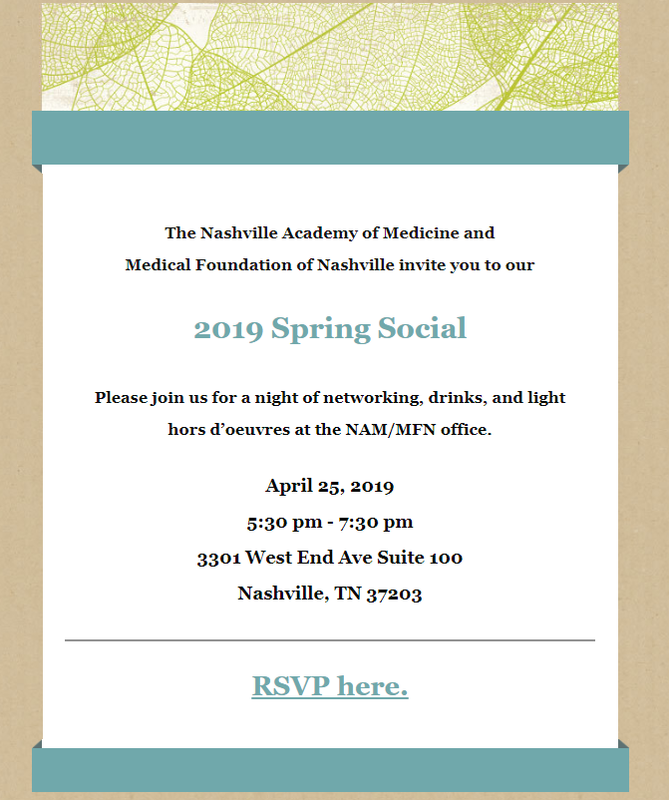 Nashville Academy of Medicine’s 2019 President’s Reception. Dinner and program will begin between 6:00 and 6:30 p.m. Thank you for your membership and for a wonderful 2018! Join us as we celebrate 2018, a year full of several milestones including maintaining our largest membership in 15 years! Join us as we recognize our 2018 board members, install our 2019 president, and recognize those physicians who have been practicing for 50 years. *One guest ticket is included for active and retired NAM members. Additional tickets may be purchased from NAM for $50 each. Please click below if you would like to purchase an additional ticket to the President’s Reception.